After meeting director Goffredo Alessandrini she received her first screen role in La cieca di Sorrento (The Blind Woman of Sorrento) (1934) and later achieved international fame in Rossellini's Rome, Open City (1945), considered the first significant movie to launch the Italian neorealism movement in cinema. As an actress she became recognized for her dynamic and forceful portrayals of "earthy lower-class women" in such films as L'Amore (1948), Bellissima (1951), The Rose Tattoo (1955), The Fugitive Kind (1959) and Mamma Roma (1962). As early as 1950 Life magazine had already stated that Magnani was "one of the most impressive actresses since Garbo". Magnani's parentage and birthplace are uncertain. Some sources suggest she was born in Rome, other in Egypt. Her mother was Marina Magnani. 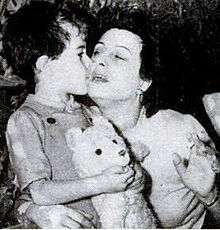 The film director, Franco Zeffirelli, who claimed to know Magnani well, states in his autobiography that she was born in Alexandria, Egypt, to an Italian-Jewish mother and Egyptian father, and that "only later did she become Roman when her grandmother brought her over and raised her in one of the Roman slum districts." Magnani herself stated that her mother was married in Egypt but returned to Rome before giving birth to her at Porta Pia; and did not know how the rumour of her Egyptian birth got started. She was enrolled in a French convent school in Rome where she learned to speak French and play the piano. She also developed a passion for acting from watching the nuns stage their Christmas plays. This period of formal education lasted until the age of fourteen. In Italy (and gradually elsewhere) she soon became established as a star, although she lacked the conventional beauty and glamour often associated with the term. Slightly plump and rather short in stature with a face framed by unkempt raven hair and eyes encircled by deep, dark shadows, she smouldered with seething earthiness and volcanic temperament. 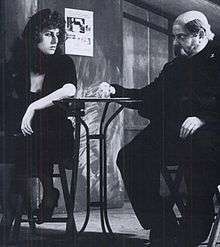 Rossellini, whom she called "this forceful, secure courageous man", was her lover at the time, and she collaborated with him on other films. 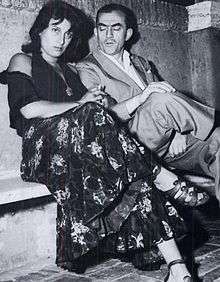 As a result, Magnani took on the starring role of Volcano, which was said to have been deliberately produced to invite comparison::125 both films were shot in similar locales of Aeolian Islands only 12 miles apart; both actresses played independent-minded roles in a neorealist fashion; and both films were shot simultaneously. Life magazine wrote, "... in an atmosphere crackling with rivalry... Reporters were accredited, like war correspondents, to one or the other of the embattled camps.... Partisanship infected the Via Veneto (boulevard in Rome), where Magnaniacs and Bergmaniacs clashed frequently." However, Magnani still considered Rossellini the "greatest director she ever acted for". Magnani then went on to star as Camille (stage name: Columbine) in Jean Renoir's film Le Carrosse d'or (also known as The Golden Coach) in 1953. Here she played a woman torn between three men - a soldier, a bullfighter, and a viceroy. Renoir called her "the greatest actress I have ever worked with". In 1945 she fell in love with director Roberto Rossellini while working on Roma, Città Aperta (AKA Rome, Open City (1945). "I thought at last I had found the ideal man... [He] had lost a son of his own and I felt we understood each other. Above all, we had the same artistic conceptions." Rossellini had become violent, volatile and possessive, and they argued constantly about films or out of jealousy. "In fits of rage they threw crockery at each other." As artists, however, they complemented each other well while working on neorealist films. The two finally split apart when Rossellini fell in love with and married, Ingrid Bergman. ↑ "Berlinale 1958: Prize Winners". berlinale.de. Retrieved 2010-01-05. "Ricordando Anna Magnani, new web site dedicated to Anna Magnani. Biography, filmography, vintage items, books, and much more." 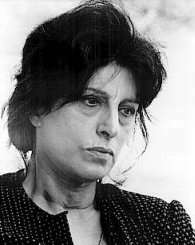 "Anna Magnani - Web Site - English version"